Brooke Birmingham from Quad Cities is a thin, sporty young woman, but this hasn’t always been the case. The 29-year-old struggled with her body weight for a long-time (there was a time when she almost weighed 330 lbs). But by undertaking the right fitness plan and by going on a strict diet, she managed to obtain her dream figure. 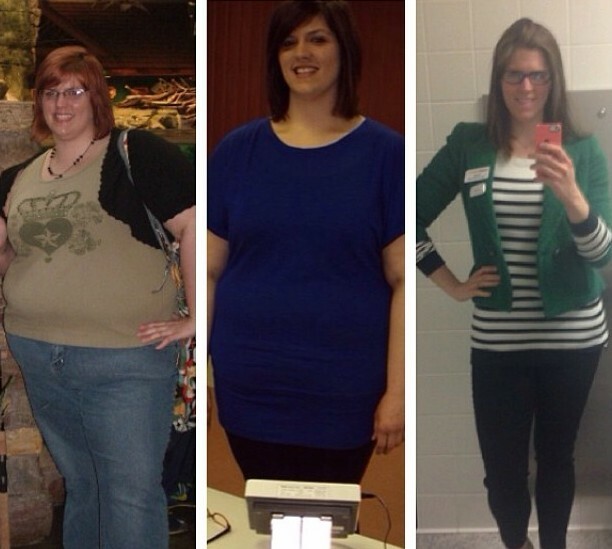 She lost an incredible 170 lbs over the last few years and shared her progress on her blog for all to see. 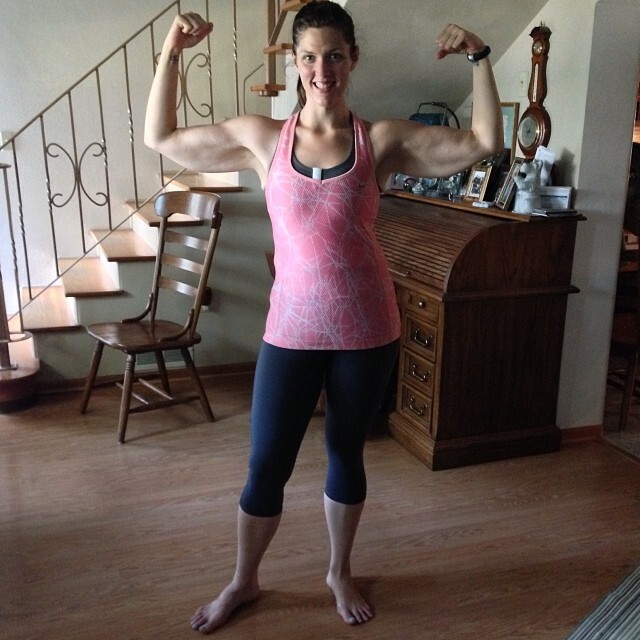 Because of her online presence, the fitness magazine, Shape, found out about Brooke. A journalist contacted her to express interest in running an article on her success story in an upcoming edition. The magazine asked Brooke to send a photo of herself in a bikini for the article which she happily did, not knowing what it would trigger. The reaction from Shape regarding this bikini shot came as a surprise to Brooke. The journalist wrote her an email asking for another photo. Brooke looked “fantastic” in it, but the journalist needed a photo of her wearing a shirt. Feeling disheartened, Brooke inquired about this decision and in response, the journalist evaded the question and proceeded to talk about new magazine guidelines. Apparently, the success stories were now only going to feature fully-clothed photos. But in Brooke’s opinion it seemed like a shabby excuse, considering what the typical Shape model looks like. Brooke felt humiliated and wrote on her blog: “All the years I felt ashamed about my body and hid it, because it didn’t live up to the ideal norms of what is considered beautiful. The request I got to send in a photo of myself wearing a shirt, made me feel ashamed of my body all over again; like I shouldn’t wear a bikini because of my flabby skin.” Brooke was still proud of her body and decided not to change the photo. “A story without my bikini photo, wouldn’t have been my story,” said Brooke adamantly. Brooke reaped great acclaim on the internet for the decision she made. 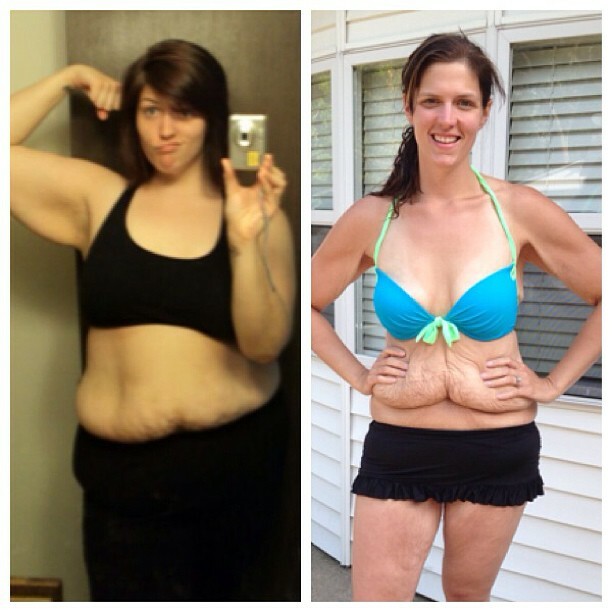 She received thousands of encouraging messages on Facebook from women who admired her confidence and willpower. With this reinforcement, Brooke triumphed over a body cult that only rates firm skin as beautiful. Shape repeatedly tried to persuade her to send in another photo but Brooke stood strong and declined. “This here is the body they should have shown, because it gives people hope,” she said. Women all over the world agree with her. The way Brooke reproaches the hypocrisy of the fitness industry deserves applause. We should all learn a lesson from her example and not feel pressured by the promises we see in ads, or by the notion of a perfect figure. At the end of the day our bodies are our own, and we only get one of them!